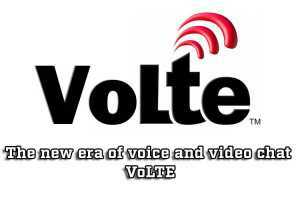 VoLTE stands for Voice Over LTE and in brief,The answer of What is VoLTE is It is known as voice calls over 4G LTE network, rather than the 2G or 3G data connections which are usually used. We need to think of 4G as mostly being about downloading, streaming and web browsing, and indeed that’s primarily what it’s been used for so far, but it can also be used to improve calls. No need to on the data connectivity – The main and best benefit of VoLTE is to make voice or video call through 4G connection without turning on the data connection. Some smartphones company like LYF, Samsung, ASUS, Xiomi etc. have rolled out their smartphones with the latest function of VoLTE. Video calling – It’s also theoretically possible to make video calls over 4G, much like a Skype call except you’d just use your mobile number and be able to use the regular dialer and call interface, so you can make and receive video calls from anyone else with VoLTE, rather than relying on separate accounts. NOTE – The main disadvantage of Non-VoLTE smartphones is you cannot place or receive the call without turning on the data connection. 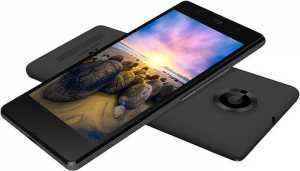 XOLO Era 4G – Xolo Era 4G is one of the bestest and cheapest 4G VoLTE smartphone. Priced at Rs 4,777, the smartphone has a 5-inch display and is powered by 1.5GHz quad-core processor. It runs Android 6.0 Marshmallow operating system and comes with 1GB of RAM and 8GB of internal storage (expandable up to 32GB). The handset is backed by a 2,500 mAh battery, 5MP rear camera, and 2MP front camera. 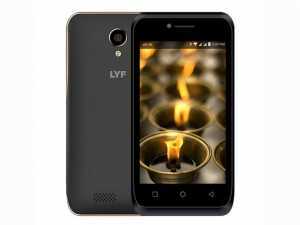 Reliance Lyf Flame 3 – Reliance Lyf Flame 3 is one of the cheapest smartphones to offer 4G VoLTE support. Priced at Rs 2,999, the smartphone has a 4-inch display and is powered by a 1.5GHz quad-core processor. It runs Android 5.1 Lollipop operating system and comes with 512MB of RAM and 4GB of internal storage (expandable up to 32GB). The handset is backed by a 1700 mAh battery, 5MP rear camera, and 2MP front camera. Reliance Lyf Wind 6 – Reliance Lyf Wind 6 is the another budget smartphone from the company with 4G VoLTE support. The device offers HD-quality voice and video calls along with multi-party voice and video conferencing and Wi-Fi calling. 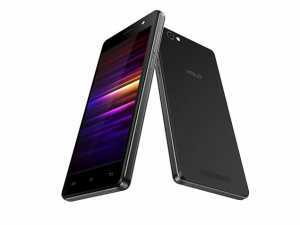 It sports a 5-inch screen and is powered by a 1.1GHz quad-core Qualcomm Snapdragon processor. 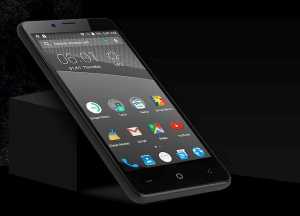 It offers 1GB RAM, 8GB ROM (expandable up to 32G B) and runs Android 5.1 Lollipop. The device houses a 2,250 mAh battery and 5MP rear and front camera and is priced at Rs 4,999. Swipe Elite 2 – Swipe Elite 2 is another affordable smartphone to come with 4G VoLTE support. The smartphone is priced at Rs 4,666 and is powered by a 1.3GHz quad-core processor and 1GB RAM. It offers 8GB internal storage which can be expanded up to 32GB by installing a microSD card. The smartphone runs Android 5.0 Lollipop and features an 8MP rear camera, 5MP front camera, and 1,900 mAh battery with fast-charging support. 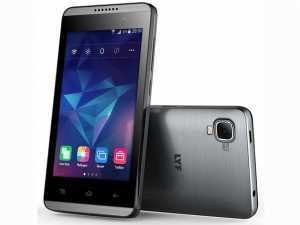 YU Yunique – Yu Yunique is also the best and budgetary smartphone with 4G VoLTE support. The phone priced at Rs 4,799 and is powered by 1.2GHz quad-core processor and 1GB RAM. It offers 8GB internal storage which can be expanded up to 32GB by installing a microSD card. The smartphone runs Android 5.1.1 Lollipop and features an 8MP rear camera, 2MP front camera, and 2,000 mAh battery. Previous articleSpread light and knowledge too ; Beam, smart projector. Next articleForget all your work and leave it on FIXO, smart disc.